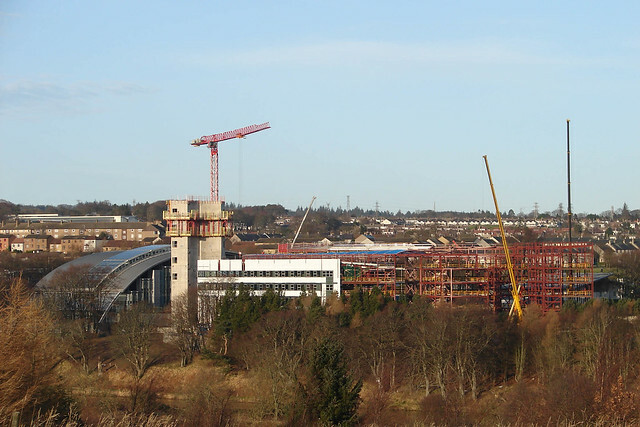 RGU New Build 14 Jan2012, a set on Flickr. Quite a substantial amount of work has been undertaken since the last set of photographs were taken on the 4th Dec 2011. 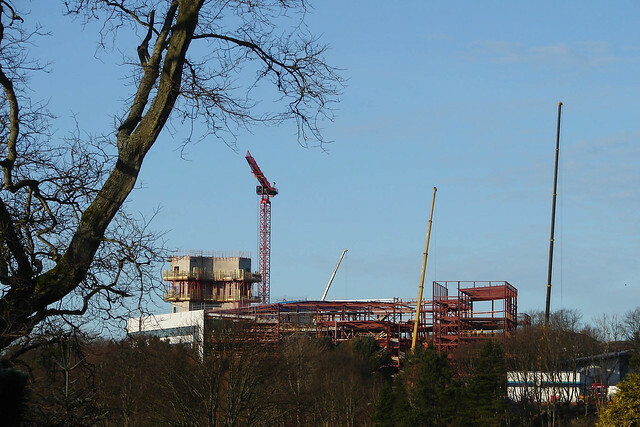 The concrete central column superstructre for the library has been completed, therefore the surrounding steel will soon start going up. Unlike the previous photo sets quite a few photographs from today include shots from the south bank of the Dee looking northwards across the river towards the Robert Gordon University Campus. 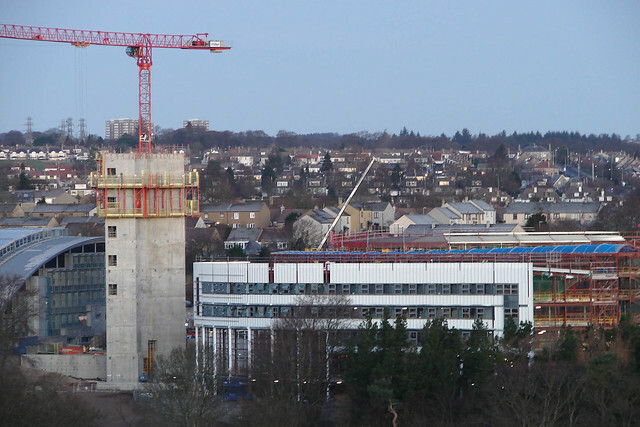 One can see that quite an amount of external cladding have been put inplace on the south side of the build. This was the first day I visited during a normal working day at the site and would have to say that it was a hive of activity. 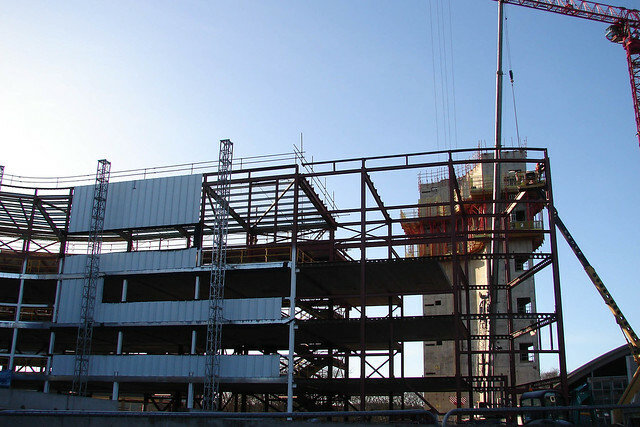 Several crains were setting steel and concrete floor panels into place and several diggers were in action within the vacinity of the library tower. You will also see just a few photographs taken from the 5th floor of the FOHS Building giving a bit more of an overview of the site area in and around the library tower. Note: the set of photographs on Flickr contrains 74 images so there are plenty more views and angles to be seen.